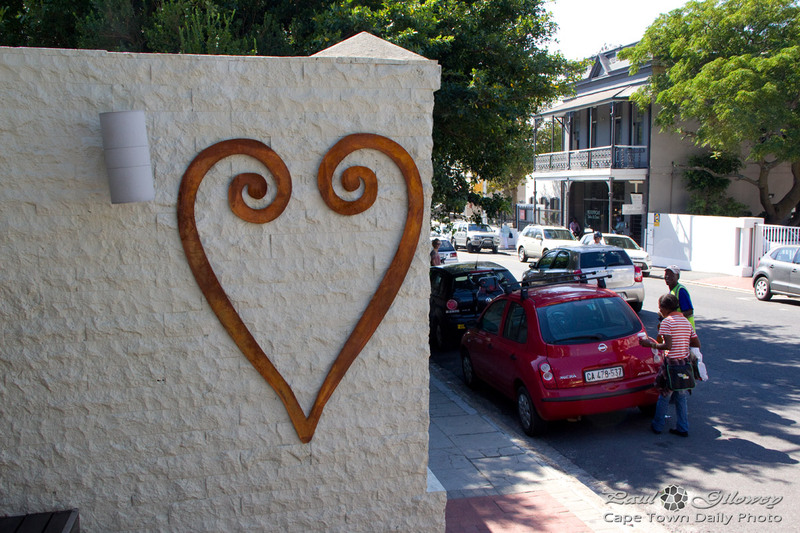 Posted in General and tagged hearts, kloof nek road on Tuesday, 20 May, 2014 by Paul. Perhaps you know, perhaps you don't, but I sure never knew that Valentine's Day was originally intended as a day to commemorate Christian martyrs. Isn't it strange how the day changed into a day to express romantic love? 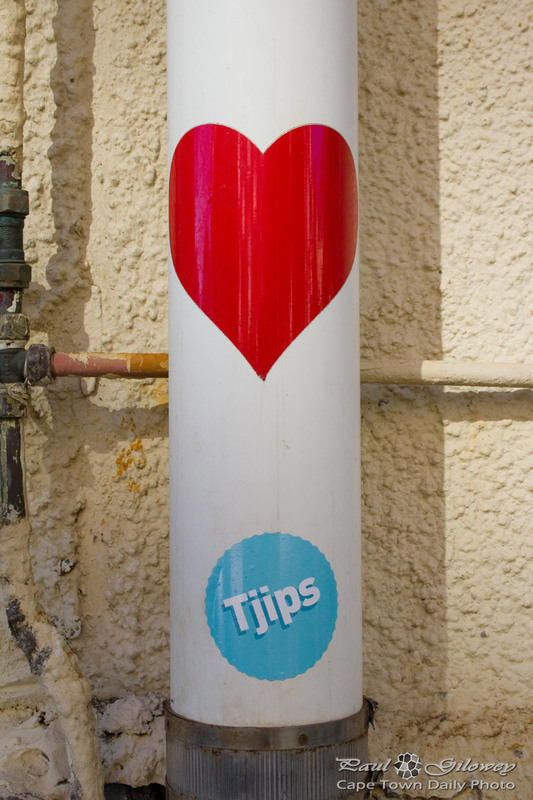 On the sticker below the heart stands the word "tjips" which is an Afrikaans Anglicism of the English word "chips". Incidentally, the Afrikaans version is pronounced pretty much the same as it's English counterpart except that you almost spit the word out, holding the tip of your tongue lightly to the front of your palate. Posted in General and tagged hearts, signs on Tuesday, 14 February, 2012 by Paul.